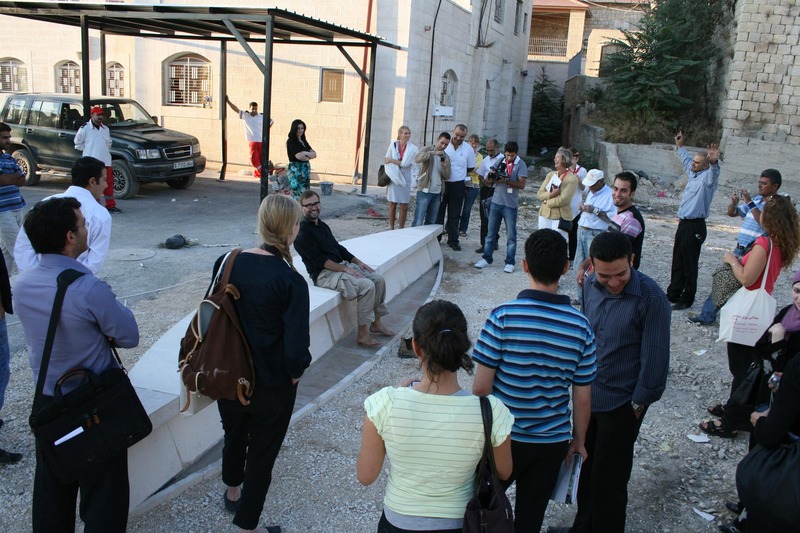 Project description: ‘Polish Spring’ is an intervention in public space resulted from a series of discussions with Farhat Muhawi, Yazid Anani and Reem Fadda on the role of art and architecture in altering the social values of public space through changing its spatial configuration of function and form within historic centers. 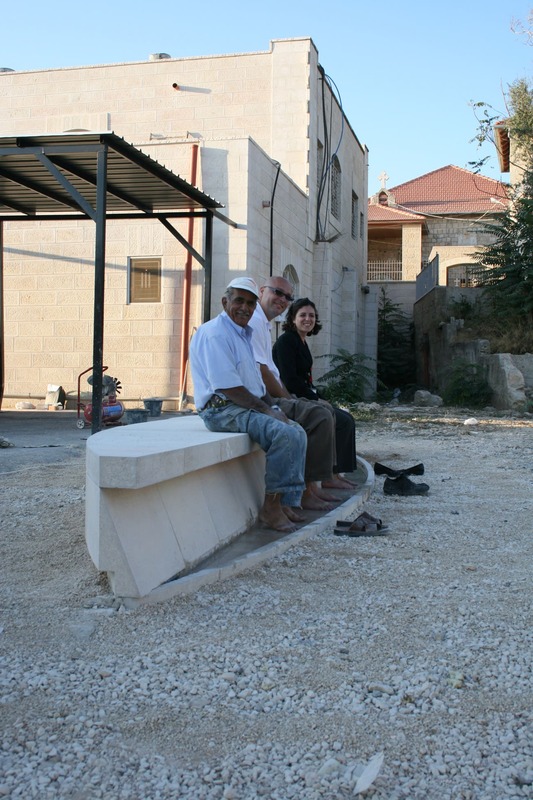 The project builds upon the work of Riwaq in rehabilitating the historic centre of Birzeit within the project of 50 Villages. Trips to Ramallah and Birzeit were essential in expanding the understanding of the meaning and particularity of social activities in the changing Palestinian society, which is to a certain extent an analogy to the experience of post-communist societies but in a different cultural realm. The project contextualizes the issue of the artist’s alienation ‘The Alien’ in the spatial context of the project with all its connotations of ‘Belonging to Another Place’, ‘Singular’ or ‘Of a Foreign Nature’. This was echoed on the setting and design of the ‘Polish Spring’. 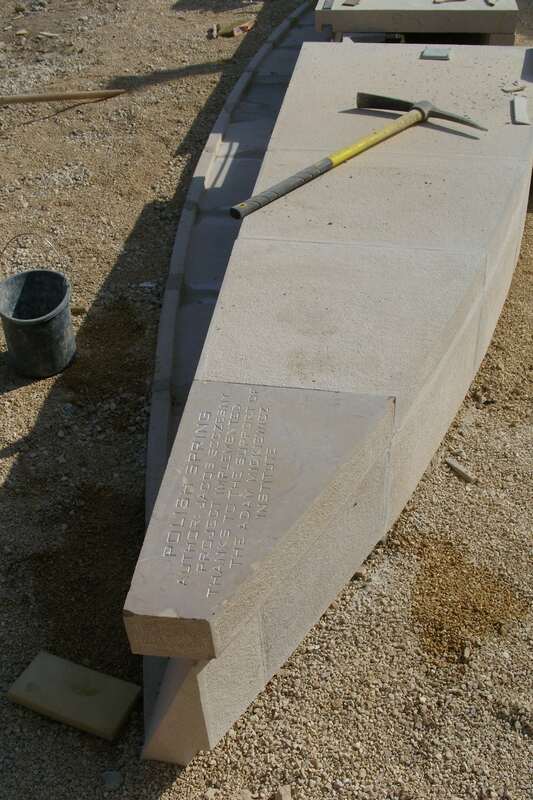 Project facts: Nevertheless, the reciprocal social curiosity between the artist and the context was reflected in the function of the project in public space, the way it is appropriated by users and the water element. The message that project conveys to people is an expression of curiosity, whilst, welcoming for simple individual and social pleasure, while its abstraction in the rich articulated architectural context of the historic centre emphasizes on it’s nature of intrusion. A parallel abstraction is found in reference to Poland in ‘Polish Spring’: a popular American mineral water, bottled, by pure coincidence, in a village called Poland. 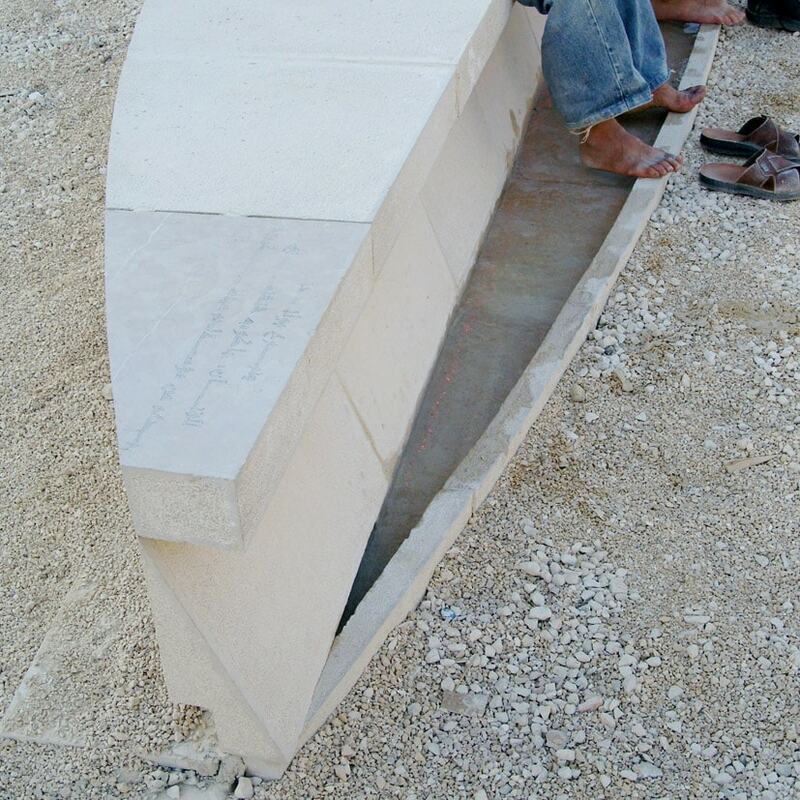 This is how the visuals of the ‘Polish Spring’ are applied: a simple bench made out of local lime-stone, encompassing in it’s form a canal with running, fresh water delivering the simplest sensual pleasure to user’s feet during hot Palestinian summer.